﻿ Barcelona v Real Madrid: Fasten your seat belts! 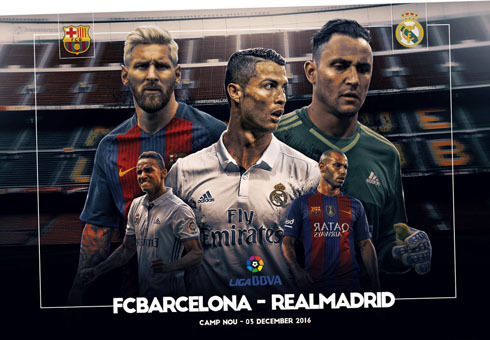 01.12.2016 » Barcelona v Real Madrid: Fasten your seat belts! It's El Clasico weekeend! Barcelona and Real Madrid will clash at the Camp Nou and Zinedine Zidane's men have a golden chance to almost put Barça out of the title race. 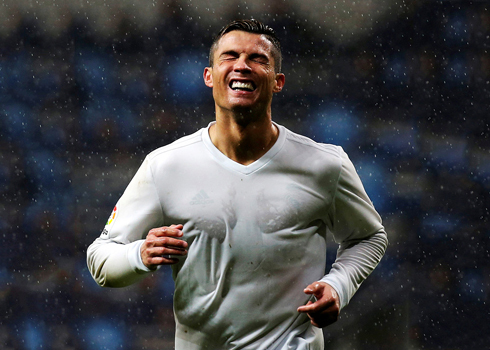 Can Ronaldo and his teammates upset their biggest rivals? 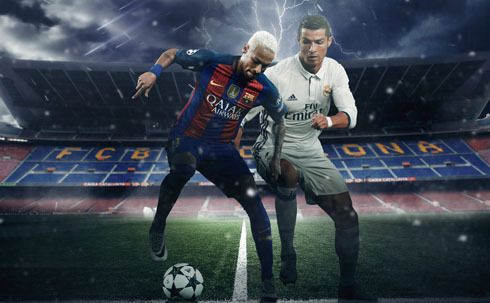 The first El Clásico of the 2016/17 season comes about this Saturday. It has been quite a wait all the while from mid-August for Clásico enthusiasts. This weekend's clash between Barcelona and Real Madrid could have lasting implications on the league title race, even though 24 games will still have to be played after that. Barça, the hosts, are six points off Real Madrid in the table. A win for Los Blancos could see them open up a 9-point gap at the top, which could well be the death-knell for Barcelona's hopes of a hat-trick of league titles. Zinedine Zidane's Real Madrid are unbeaten in 32 games across all competitions. The form of the two clubs heading into the Clásico couldn’t have been more contrasting. Barça have lost their winning touch of late, having drawn supposedly easier games against Malaga and Real Sociedad in their last two league outings. The Blaugrana followed those results with another draw in the cup: a 1-1 result away at Hercules, with a second-string side on Wednesday evening. Meanwhile, Zinedine Zidane's Real Madrid are on an unbeaten streak of 32 games stretching back to April, 2016. Following their 2-0 loss to Wolfsburg in the Champions League quarterfinal first leg last season, the Santiago Bernabéu outfit have recorded 24 wins and eight draws, scoring 92 goals on the way. They are the only unbeaten side in Spain's top three divisions in 2016/17. Real Madrid's 32-game unbeaten run has already seen Zidane eclipse his former mentor Carlo Ancelotti's 31-game streak from 2013/14. Another win on Saturday at the Camp Nou will make the French World Cup winner the first Real Madrid manager to win back-to-back away Clásicos since Miguel Muñoz in 1963/64 and 1964/65. It's been more than 50 years since Real Madrid recorded consecutive away wins against Barça. Should they win, it will be a testament to Zidane's men doing most things right for the majority of this calendar year. So right, that even a loss at the Camp Nou will still see them atop the standings. Speaking of records, Barça's 39-game unbeaten streak last season is still the benchmark in Spain. It is to be noted that it was Zidane's Real Madrid side that put an end to that run, and it wouldn't be beyond Barça to do a similar thing and end Madrid's spell of invincibility on Saturday. Without the Messi-Ronaldo twist, any talk of a modern Clásico is incomplete. Both players have set the pace in the goalscoring stakes this season. Cristiano Ronaldo is currently the league's top scorer with 10 goals, while Lionel Messi is a goal behind the Portuguese on nine. 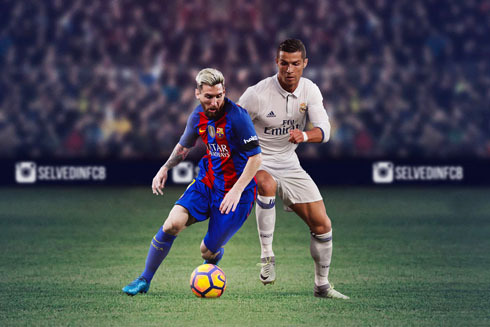 It has recently become the norm to talk of the Clásico rivalry not in terms of Messi and Ronaldo, but in a more collectivist tone of MSN and BBC. 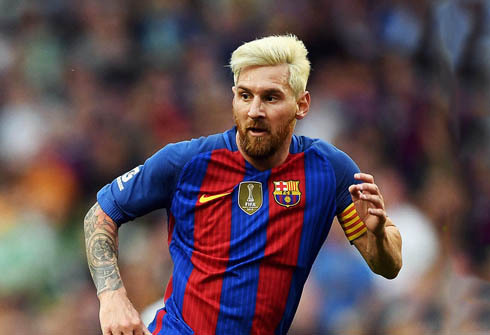 The key players, though, remain Messi and Ronaldo. Saturday's game will be another occasion for them to showcase why they are regarded as the best players in the world. 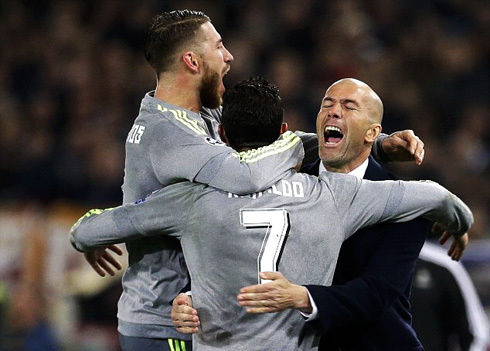 More importantly, they will once again be motivated to win for their respective teams. In what started as a proper vitriolic rivalry only in 1943, El Clásico went on to represent the sentiments of a divided Spain for years; hate being the driving force. In the post-Francoist Spain, the old premises have faded somewhat, but the essence of the Barça vs Real Madrid rivalry has remained. There have been many visible manifestations of the rivalry over the years, and recently, it has become the stage for the best players to exhibit their sporting excellence. That quest for perfection from both sides will take another turn come Saturday. More than bragging rights, 2016/17's first Clásico will determine where Barcelona and Madrid are headed in the near future. Cristiano Ronaldo next game is El Clasico for La Liga, on December 3 of 2016 against Barcelona. You can watch Juventus live stream, Barcelona vs Real Madrid, Tottenham vs Swansea City, Manchester City vs Chelsea, West Ham vs Arsenal, and Mainz vs Bayern Munich, all matches provided from our live soccer game pages.